Be part of a mission to improve technology experience of healthcare providers and patients through innovative performance-based business models. You will support business decisions for data quality improvement by analyzing data from inventory management. You will also participate in the market launch of the tool for Technology Assessment and Planning including the creation of customer facing and training materials. Analyzing data to gain customer insights, commonalities, differences and monitoring trends. Understanding of data flow from customer data including non-Philips equipment into our Harmonized Business case, identify gaps for continuous flow. Create overarching reference deck and training materials for MTS. Participate in the launch of Technology Assessment & Planning tool in the first market. Establish performance management of MTS with first wave markets. Review the funnel and measure conversion success with the markets. 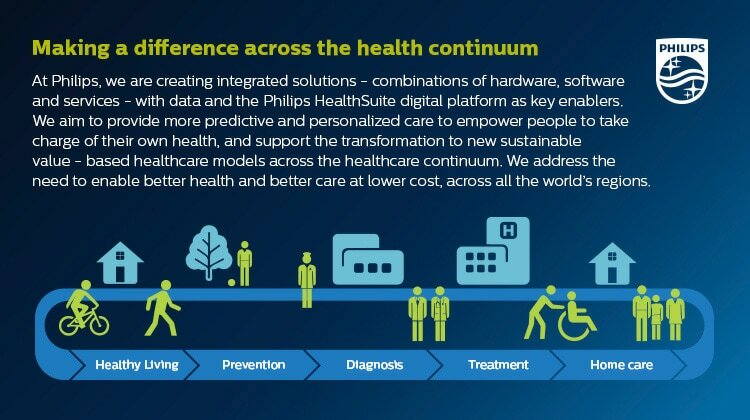 You will be part of the Managed Technology Services team, which is one of the five preconfigured solutions that will transform Philips from a product centric organization into a solution driven company. We have a functional team with a variety of colleagues from different cultures that is eager to deliver great results. Currently pursuing a Bachelor/ Master’s Degree in any Technical, Management, Marketing, Business, Operations field with courses covering data analytics, or information management. Strong knowledge of analytical tools for processing and understanding data. Self-motivated, problem solving skills and eager to learn while challenging status quo. Excellent in English, both written and spoken. An exciting opportunity to work and learn at the same time. Getting to understand the Services Business, in a global context, learn more about service models and about the medial field. Learn all that it takes to launch new business models in a large international environment with multiple stakeholders. An opportunity to learn and grow in the field of data analytics and business marketing.